Best display available, based on density, color reproduction in almost 180° angles. Add to it keyboard and u got 12000mAh, 2 sd slots, mousepad, usb. Also no buttons in the front panel and on sides too(they are behind curved edge and activated by pushing from the back side) so almost ideal for holding with hands. Worst thing is I had to install cyanogen since OS in this was really bad and without update, now battery and all is good. About performance - its a bit slower than S800 but it may be software problem. AnonD-204551, 08 Nov 2013When looking at the test of the display on the TF701 in this review, it seems like GSM Arena g... moreI bought my My asus transformer prime 201 last july 2012 and after 10 months it has touch screen problem on left and right side hasn't fixed yet by asus team for firmware update.My tablet did not event get a scratch. It just happened .i search all over the net for other users , and they have also same problem. Until now they have not release the new jelly bean 4.2 update too. i have been wondering about getting a tablet for a little while now and was just wondering if you can download games that are for pc and play them on a tablet? I have been eagerly awaiting for the new iPad to arrive and to compare it to the new Galaxy Note and this Transformer. I''ve read the reviews, tried wherever it was possible (in stores e.g. at airports) to play with all of them (easy for iPad & Note; far less obvious for the Transformer). After hesitating I decided pro the Transformer. I experience my TF701T as a very powerful package. In tablet mode, it is a brilliant device sporting a gorgeous screen with a quality finish (the alu back is simply stunning). It is fast and does whatever it needs to do. Perfect for browsing web pages, reading mails & texts and for media consumption. However, I chose the Transformer for its dock. I need my tablet to help me being productive. I've never been too enthousiastic about trying to type longer docs / mails with an on-screen keyboard: I don't like the autocorrection mechanisms popping up and trying to correct while my keystrokes where exactly what I wanted, and I don't like to loose precious screen surface for the keyboard. This is where the Transformer shows its unique strength: attach the keyboard, and the beautiful tablet literally transforms itself into a package ready for some heavy work. You can easily work for hours, typing whatever needs to be typed, while in the mean time the tablet battery recharges (through the dock battery). Furthermore, the USB and SD ports allow you to exchange files when needed. To me, it seems like a modern reincarnation of the old Psion Series 7 (early 2000) which I once owned, and that has been my trusted work companion for years. I am sure the iPad Air is a highly desirable product, and I know the Galaxy Note represents a very attractive package. However, what I needed was the mix of features the TF701T offers and the others don't (at least not to the same extent). So I say: thank you Asus, for a wonderful product and thank you for technology competition that has brought us the choices we have. When looking at the test of the display on the TF701 in this review, it seems like GSM Arena got a special version of the tablet. There is no way mine is hitting 500 nits. With outdoor mode on and 50% brightness, it looks like the Note at 25%. At 100% maxed out, it's just a little dimmer than the Note at 100%. Still, it's LESS than the Note, yet in the test here it was almost twice as bright and measured a truly incredible 755 nits. Also, the contrast levels seem way off. I guess if the max brightness was measured closer to 400 nits, the contrast level would seem more accurate at ~600:1. I remember my TF700 and how bright it was. This TF701 is not really even close to the 600 nits that the 700 put out. AnonD-4470, 31 Oct 2013GSMArena needs to start reviewing windows 8 (non-rt) tablets is they want to cover the current... moreYa the Samsung XE700T1C is nice but it's over $1000, so it's hard to compare it to $500 tablets. I have the TF701 but am sending it back to Newegg. The 3D performance is just a little too slow for me (under 30 fps in most games I tried), while the Note 10.1 is able to pull about 30% to 40% better frame-rates, just enough to be over 30 fps. 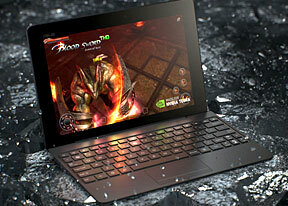 Maybe the Tegra4 should stick to 1920x1200 and under, like in the nVidia Shield. Chupacabra, 01 Nov 2013Seems Tegra4 isn't competitive with Snapdragon 800.it lags a lot.. as long it has the tegra, it is no good. Not even as good as old note 10.1. Asus Nexus 7 mk2 and Transformer Pad TF701T both of them lookmso 2012 designed. What happened to Taiwanese design nowadays? First was HTC going down, now Asus heading South too? If asus is a fail company which dont know how to optimize it's devices than it doesn't mean that soc is fail. It means your comment is fail and doesn't have any arguments. Seems Tegra4 isn't competitive with Snapdragon 800. AnonD-26941, 01 Nov 2013not having 3G or LTE is a JOKE !!!! big FAIL from Asus whats the point of having a tablet ... moreWho wants 3G or lte version when you can tether for free unlimited with foxfi. not having 3G or LTE is a JOKE !!!! whats the point of having a tablet if you don't have 3G or LTE?? AnonD-20498, 31 Oct 2013tegra 4 was a fail SoC . qualcomm 800 is more powerful and energy saver The Tegra 4 in the Shield is faster than the Snapdragon 800 in the Xperia Z1. Note 10.1 is the best because it has Exynos.